Registration is now open for the Grand Lodge Leadership Academy, slated for October 6 in Topeka. Now in its second year, the day-long seminar will be held at the Kansas Statehouse and will feature nationally known Masonic author Chris Hodapp. Early-bird registration is open until September 20 and offers substantial savings to attendees with registration for the Mason’s course available for $20 and the ladies’ course at $10. From September 21 – October 1, registration will cost $30 for men and $20 for ladies. The price difference — according to Grand Senior Warden Michael Halleran – is to encourage people to register early. Registrants may print and send in the registration form (below), or register online at kansasmason.org/shop in the registration area of the Grand Lodge Online Shop, or via telephone by calling the Grand Lodge office. July 18, 2012. Grand Secretary R:. W:. Robert B. Pfuetze announced his retirement as the Fourteenth Grand Secretary of the Grand Lodge of Kansas after twelve years of service. 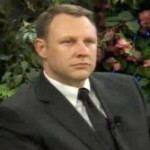 Hired as Office Manager of the Grand Lodge of Kansas in 2000, R:. W;. Bro. Pfuetze was appointed as Interim Grand Secretary later that year, when PGM Don Robinett resigned. He successfully stood for election the following year, and has been reelected by the Craft to the post of Grand Secretary since that time. He Graduated Kansas State University in 1967 with a Bachelor of Science Degree in Chemistry, and a minor in Secondary Education, and he taught chemistry, physics, general science and photography for eight years at Washington High School, in Washington, Kansas. In 1975 he purchased the Bergman Studio in Concordia, Kansas, and became a full-time professional photographer. A tech-guru even in the 1980s, Bro. Bob also opened the first computer sales and service business in Concordia in 1985. Raised to the Sublime Degree of a Master Mason in St. Johns Lodge No. 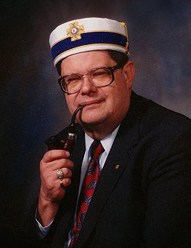 113 in Concordia, Kansas, in 1981, he served as Worshipful Master of that Lodge in 1985 and again in 1997. 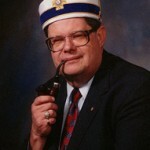 He was also active as a Grand Lodge officer, serving as Grand Junior Deacon in 1990 for M:.W:. 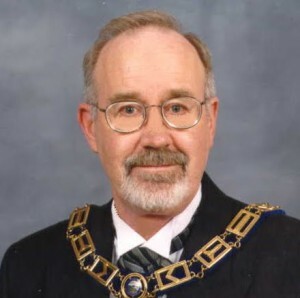 Don Robinett, and as District Deputy Grand Master in 1995, and Area Deputy Grand Master in 1996 and 1997. Bro. Bob also chaired the Grand Lodge Technology Committee in 1996-97 and was a key player in the development of a new member database. In light of Bro. Bob’s retirement, M:. W:. 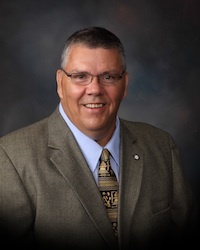 Donald D. Newman Jr., Grand Master has appointed Tracy L. Bloom, PGM and current Grand Lodge Office Manager as Interim Grand Secretary effective today. M:.W:. Bro. Bloom will stand for election at the Annual Communication on March 15, 2013. There will be a Vision 20/20 Seminar at Lodge No. 12 in Emporia on Saturday, June 16, 2012. R.W. : Rick Reichert, DGM will be the facilitator for the seminar. Registration and fellowship (Donuts, Milk and Coffee) will be held in the Recreation Room beginning at 8:30 a.m. The Seminar will begin in the lodge room sharply at 9:00 a.m., ending at 12:00 p.m. A light lunch will provided by the local Eastern Star chapter. All lodges are invited. Principle Officers are asked to attend, any additional brothers who wish to participate are also encouraged to attend. There is no charge for attending the seminar, or for the luncheon or the pastries, however donations for lunch will be appreciated. This is a hands-on project and everyone attending will be given the paperwork and worksheets required. There will be a general information session and then the lodges will be separated into workgroups by specific task. Emporia Lodge No. 12 does request that you RSVP the number of brothers who will be attending so they can have the proper amount of food for everyone. Please RSVP by Monday, June 11, 2012, to R.W. Bill McCord, DDGM of District 23, to ddgm23@kansasmason.org. The Divan of Abdallah Shrine in Overland Park announced their support of the new Grand Lodge petitions and the requirement for background checks on all petitions in a formal resolution on May 8. New petitions for the Mysteries of Freemasonry, dual and plural membership, which include a provision for mandatory background checks were developed in early 2012 by the Council of Administration and required for us by all lodges under the edict of Grand Master Donald D. Newman, Jr. According to Potentate Michael J. Tavares, “all of the Abdallah Shriners Divan supports the background investigations,” adding that all officers signed “of their own free will” and not under pressure from Shrine leadership. Formed in 1887, Abdallah Shrine is the thirtieth Shrine temple chartered in the United States, and was the first of five Shrine Centers to be chartered in Kansas. For more information on Abdallah Shrine, visit their website. 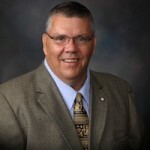 Denny Robinson, the President of CHIPs (Child Identification Program) will be attending the Grand Master’s Town Hall Meeting in Coffeyville, KS on April 21, 2012 from 9.00 am to 11.30am. The Grandmaster will be on hand to answer any questions of concern to the craft and Robinson will be on hand to provide ideas and instructions on how to enhance the Kansas CHIP Program. For more Information about them click the link below. The Location of this Town Hall is 106 E 7th St, Coffeyville, KS 67337. Heritage Lodge No. 458 to hold its first meeting. With an overwhelming vote from the craft at the 156th Annual Communication, the newest Lodge in Kansas was formed. Heritage Lodge No. 458 is an Affinity Lodge and claim as their hallmarks, the love of riding motorcycles and for the ritual of our sacred art. This is only the second Lodge to be formed is this manner, following Justice Lodge No. 457 last year. The first meeting of Heritage Lodge will be on April 26, 2012 at 8.30pm. Their meeting will be held at Ben Hur Lodge No. 322, located at 1442 S 30th, Kansas City, KS. The Grand Master will attend and will present membership pins to members of Ben Hur following the meeting. The agenda for their first meeting will be to adopt their By-Laws and to install the appointed officers. Though still in their infancy, the members have made great strides toward getting organized by drafting By-Laws and organizing their member requirements. They have also set up a Facebook page to make it easier to reach out to thier membership as well as to those who would like to attend their communications. History Making 156th Annual Communication in Session. 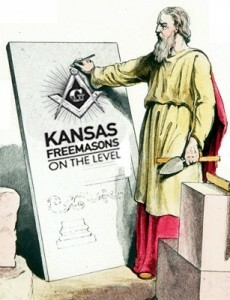 With an auditorium filled with about 350 masons, representing over half of the lodges represented in Kansas. The public session began with the Grand Procession and reception of visiting dignitaries. Kansas Masons and their ladies were able to hear reports from the several appendant bodies recognized in Kansas. The formal Tiled session began on time with the Grandmasters address, who wholeheartedly thanked the craft for giving him the opportunity to serve as Grand Master. Reports from the Kansas Masonic Foundation and the Kansas Masonic Home showed that Kansas Masons are working hard to continue their charitable endeavors. At 1130, the craft adjourned to one of three breakout sessions before return to their work in the Tyled session. The afternoon session held debates and votes over 5 different By-laws Proposals. There was also the presentation of a petition to charter a new lodge. Upon an overwhelming vote of he craft, Heritage Lodge #458, was created and the Grandmaster ordered the charter officers to report to the lodge room for installation once the Grand Lodge was at refreshment. This is only the second lodge in almost 50 years to be created by such a vote. Grand Lodge officers and area Masons traveled to Emporia on Monday to dedicate the Bowyer Community Building — a multi-purpose meeting facility donated by NASCAR’s Clint Bowyer to the people of Lyon County. A native of Emporia, Kansas, Bowyer drives the #15 5 Hour Energy Toyota Camry in the Sprint Cup Series for Michael Waltrip Racing. Early in his career, he drove for Richard Childress Racing. He won the 2008 Nationwide Series championship. The building, which was completed in early March was made possible by a donation of $1 million by Bowyer in July 2010 and will be available for many uses including children’s and community events. Grand Master Tracy L. Bloom presided over the ceremony, and was joined by Past Grand Masters Jimmi L. Grassi and Roy T. Sullivan, Deputy Grand Master Don Newman, and a host of Masons from across the state. On hand to watch the ceremony was a crowd of 250 spectators, community leaders and the media. 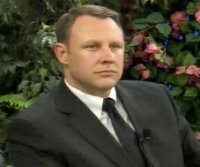 Additionally, Mark Snider, the Master of Emporia Lodge announced that Bowyer has petitioned for membership in Emporia Lodge No. 12. For more information, See The Emporia Gazette story online. 156th Annual Communication Rapidly Approaches. With less than 14 days to go, the Grand Lodge of Kansas is rapidly preparing for the 156th Annual Communication in Salina. This year, like years past, will feature a packed agenda with much more for the attending brothers to do than sit through a legislative session. Breakout Masonic Education Session are again planned and will feature some very noted Masonic Authors and Educators. G. Cliff Porter, who has presented in Kansas several time, will present on Subconscious Communications and Investigating Committees/back Ground Investigations. There will also be a class on the New Petition for the Mysteries. Each of these courses will be offered 3 times to allow as many as possible to attend as many classes as they desire. While the deadline for reduced meal prices has past, Kansas Masons have until March 6th to register and purchase meal tickets, however registration to attend the Annual Communication will be allowed at the door. 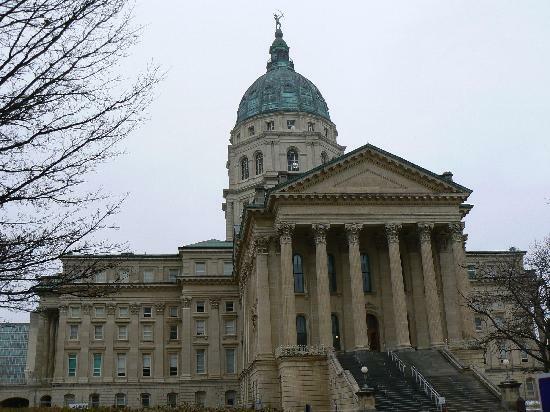 With a vote of 110 Yeah’s – 8 Nea -and 7 Absent, the Kansas House of Representatives passed House Bill #2499 sending it to the Senate on February 17th. This vote occured before the self imposed congresional deadline for new legislation to clear its respective house and has kept it alive. A hearing has been set for March 8th at 830 am before the Senate Transportation Committe, it is still important that as many supporters of this project as possible, contact their Senator. This Bill must clear the committee before it can be brought to the floor of the Senate for a full vote. To find your Senator, click the link below.